Leading Manufacturer of flax seeds from Unjha. 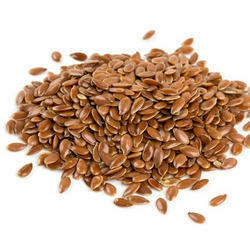 High-quality Flax Seeds that are grown through organic methods are available with us in huge bulk. We procure these Flax Seeds directly from the farms thus our seeds are very cost-effective. Flax Seeds are also known as Lin Seeds which are very good for horses. Looking for Flax Seeds ?